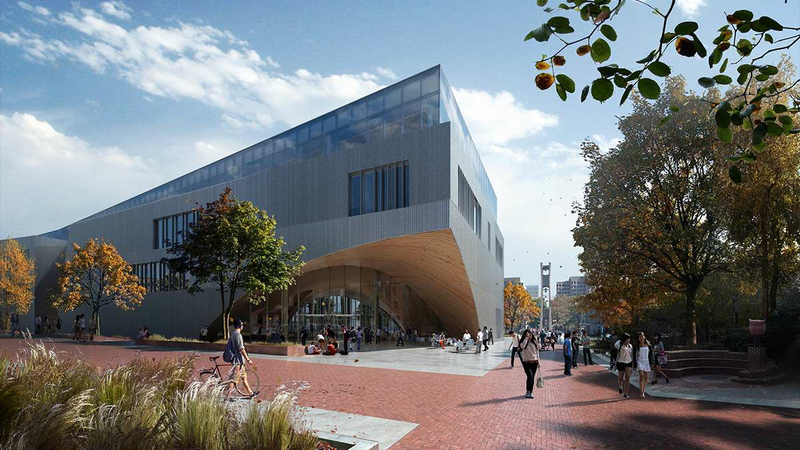 The new library at Temple University — still unnamed and now merely a hole in the ground at 13th Street and Pollet Walk — is expected to be completed next year. 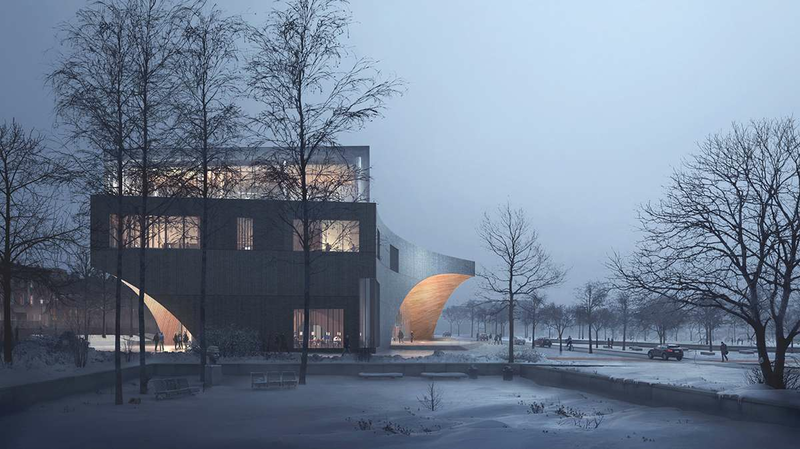 But for those who can’t wait for a glimpse of the facility, the architectural firm designing the building, Snøhetta, has released renderings showing the library of the future. 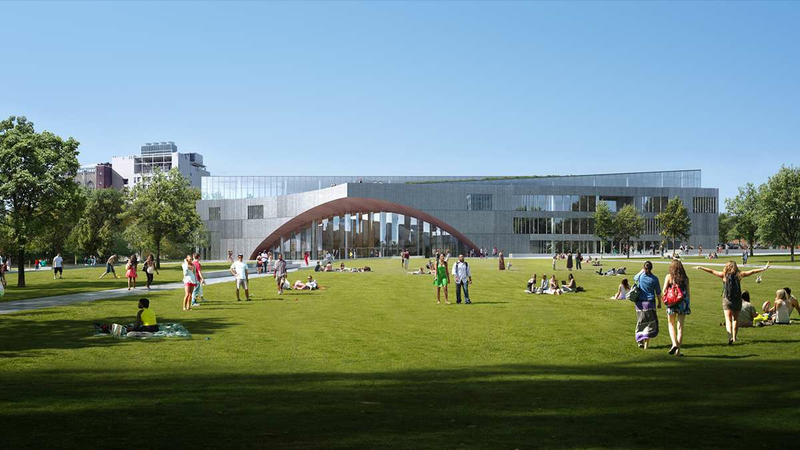 In addition to housing more than 2 million books and an automated robotic crane to retrieve them, the four-story, 215,000-square-foot building is designed to anchor a forthcoming outdoor quad. 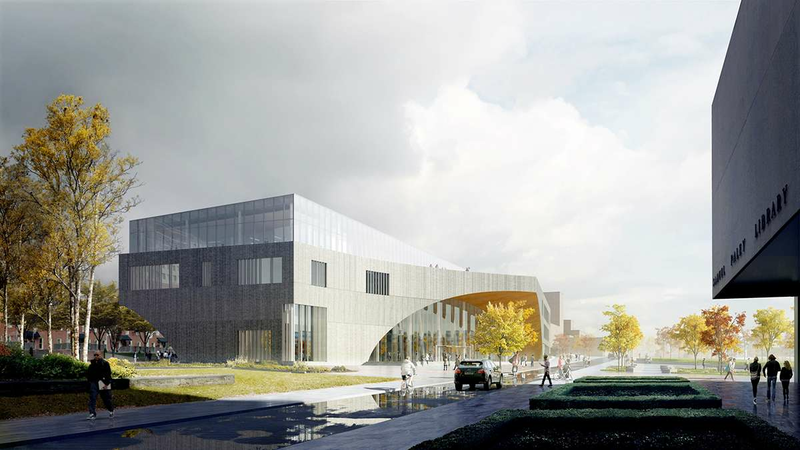 Pedestrians will be able pass through the ground floor of the library as part of their route across Temple’s main North Philadelphia campus. 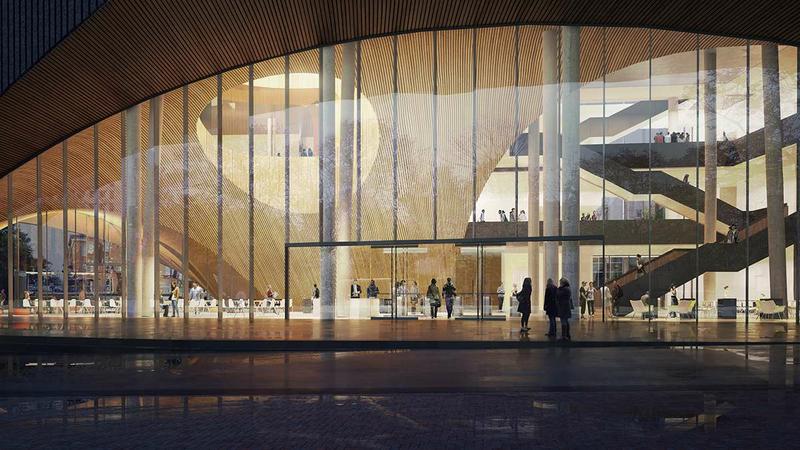 The landmark feature of the library will be an interior dome whose wings become heroic, 45-foot entrance arches. Concrete support columns are sloped on an angle, so as to disrupt as little as possible the interior space underneath. Visitors will be guided through the building by the dome’s distinct wood paneling. Even from the upper floors, users can see the main lobby through an oculus cut into the dome. 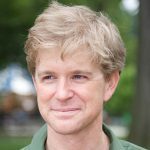 “The challenge with a library is, it’s easy to get lost,” said principle architect Craig Dykers. “They’re big. They have lots of corridors. With this you should not get lost. You can always see where you came from. What you cannot see in these renderings are the wood panels to be spaced 1 inch apart. To control acoustics, Dykers designed the dome with sound-reflective wood and sound-dampening cloth between them. 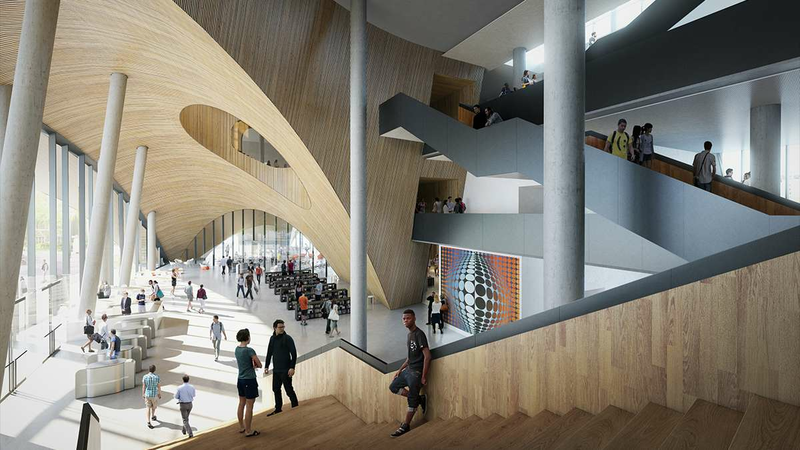 The building is designed to anticipate what the library of the future will become, which may or may not involve books. A majority of the building will be devoted to classrooms, meetings rooms, digital laboratories, and informal spaces. Most of the books will be sequestered into extremely compact shelving, accessible only by a robotic retrieval system. Should the future bring new priorities, that space for the books and their robots can be modified for the next big thing.